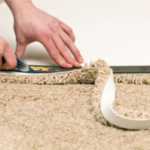 Choosing A Good Carpet Underlay: Why Is It Important? For those of you who have never had experience in buying a new carpet, you may not know about the importance of a good carpet underlay. Although it may seem a waste of time and money if you don’t even see it, the underlay is just as important as the carpet itself and carpet fitting should never be carried out without an underlay first – with the one extremely rare exception that your carpet has an extra thick backing already! What is the purpose of carpet underlay? 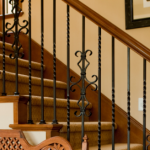 It ultimately offers protection against the inevitable wear and tear that comes with time and can keep your carpet looking good. Underlay can help reduce significant heat loss, therefore keeping your energy bills to a minimum and keeping the room warmer. Depending on how thick the carpet underlay is depends on the amount of noise reduction it will give. However, any underlay should help to reduce the noise of heavy footsteps or movement of furniture to some extent. Heavy furniture can sometimes leave lasting marks on soft carpets, but with an underlay the chances of indentation marks are minimised, helping extend the life of your carpet even further. The extra layer of padding makes for an even more comfortable and cosy carpet underfoot, improving its quality also. How do I know which underlay I need? So now you understand why you need to have carpet underlay, let’s take a look at which one you will need for your carpet. Depending on which room in the house the carpet is intended for will depend on which underlay is best to use. For instance, if you are laying carpet over a hard floor which will receive a lot of foot traffic, such as the living room, then a firmer underlay will be the best option and offer the most protection. Whereas, a bedroom which receives less footfall would be fine with a soft underlay. Traditional felt underlay is not as easily obtainable as it used to be, but still remains the most hardwearing on underlays on the market. It is also the most environmentally friendly, often made from recycled fibre. Rubber is another extremely resilient underlay ideal for commercial setting and those heavy foot traffic areas. It is available as waffle rubber and crumb rubber. Most modern carpet underlays have tog ratings to help the customer determine its thickness. Similar to duvets, the tog rating will reflect the thermal insulation also. Now you’ve read up on all the reasons why carpet underlay should not be overlooked, don’t forget about yours when you next move house or decide to spruce up a room! With over 40 years’ experience working in the carpet industry, Brent Carpets offer carpet underlay as part of our excellent carpet fitting service, available to those throughout London and Central London. So if you’re in need of a professional carpet company, either for a domestic or commercial carpet, then please get in touch with our friendly team today.